From an anonymous source, the 6-Kerner, code-named "Thuban" in the Phenom 1000-Series II X6 appear. 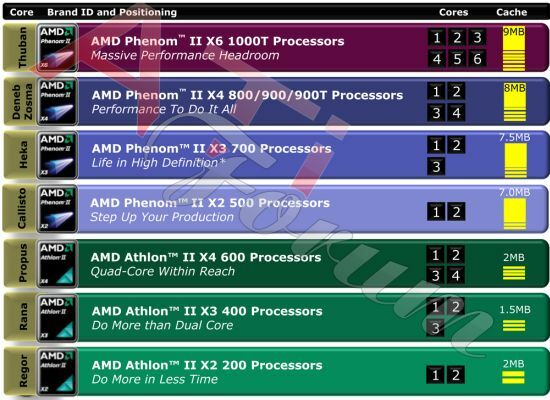 As a document, there is the ATi-Forum.de showing, it will appear to launch three models II X6 named Phenom 1035, Phenom 1055 and Phenom II X6 II X6 1075 a TDP of 95 watts and 125 watts. The Phenom 1000-Series II X6 is, as stated in the document, have a cache of 9 MB.